There’s a lot of information out there if you are just getting into riding and it can be hard to decide what to listen to. So, we’ve put together a list of our top resources to help get you started. If you’ve never been on a bike before, it can be hard to decide what you want - so take your time and check out all your options. These three articles should give you a good place to start - and then once you have your license, you can actually go test ride some of these bad boys. While some of this other gear might be optional - helmets definitely aren’t. They also aren’t cheap. So pick one you like and plan to be happy with for a while. Web Bike World’s reviews are thorough - but if you are looking for other gear - gloves, pants, etc. - you can’t go wrong with the article from Best Beginning Motorcycles. 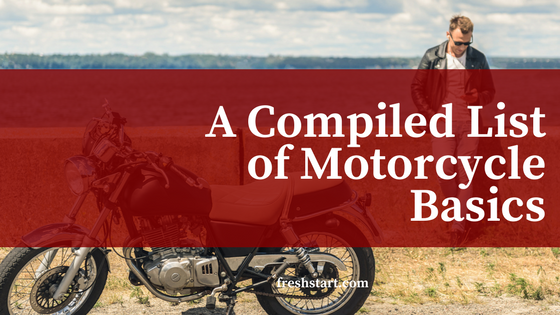 Motorcycle laws are different in every state (and there are some strange ones that exist) - and you’ll want to be educated when you head out on the road. Study up and take a course to make sure you feel comfortable. 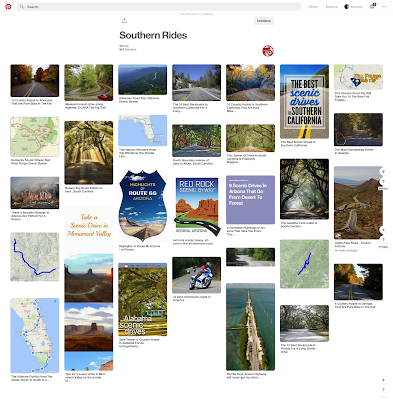 Once you’re educated and outfitted - find other riders in your area. The dealership you purchased your ride from may have some groups, but if not - look for local meetups to help you get going in the community. We hope this helps get you started - and cuts out some of the noise of the Internet. You can’t go wrong learning how to ride. It actually IS as fun as it’s cracked up to be. I hope it’s a long winter this year … said no biker ever. We are into podcasts and we are REALLY into motorcycles (if you haven’t noticed). 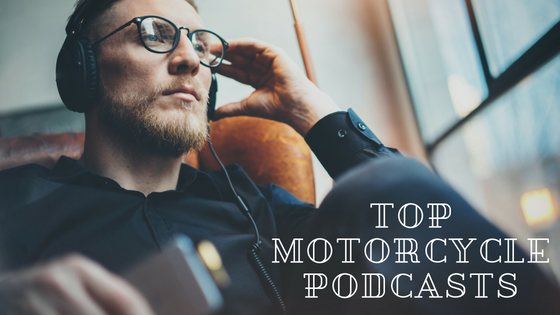 So if you’re looking to add to your playlist, you’re in luck - we’ve got five motorcycle-related podcasts to share with you. Check out our favorites below. Motorcycles & Misfits - Motorcycles & Misfits is presented by Re-Cycle Garage in Santa Cruz whose mission is to get old motorcycles back on the road and teach people how to fix them. Their podcast has been on the airwaves since 2013 and has a rotating cast of characters sharing stories, knowledge, and experiences all related to motorcycles. Moterrific - Moterrific is a podcast run by two women who’ve been riding for years. They thought the motorcycle podcast world lacked a certain opinion - women’s. The first and only all-female motorcycle podcast covers everything from daily riding to racing to adventure riding, news, current events, and more. Adventure Rider Radio - The Adventure Rider Radio is a podcast dedicated to telling interesting motorcycle stories, providing helpful tips on travel, tech, and more. Guests frequent the show and the podcast is the most popular adventure motorcycle podcast in the world. It’ll definitely encourage you to get out there. Law Abiding Biker - The Law Abiding Biker podcast is the no. 1 listened to motorcycle podcast in the world and is a one-stop shop for all things motorcycling. You’ll hear motorcycle news, reviews, information on motorcycle clubs, laws, ride reviews, and tons more. Throttled - Throttled is a podcast that will keep you up-to-date on the latest motorcycle news you need to know and you’ll hear advice as well as ride updates from each of the hosts. Throttled frequently brings on guests to share stories and opinions. This podcast is an overall winner for all things motorcycling. So if for some reason you can’t take your bike out today, or you just want something new to listen to, check out these podcasts and let us know what you think. Do you have any favorites we should know about? Share in the comments below.